I'm looking forward to today's check-ins ... I connected with many clients over the weekend and it's been wonderful hearing the news, seeing progress, and feeling the excitement and determination!!! "What I've noticed most is the mental clarity! I'm so happy to be consistently thinking clearly. As a result, the relationship between me and my husband has really improved. He shared with me that before TSFL, he never knew who he was "waking up to." I was either really grumpy and depressed or anxious and in a fog! Now I'm feeling energetic and optimistic ... it's like, I've gotten my life back!!!" "So Sunday marked my first full week and I was very pleased with how the week went. I weighed myself on Sunday ... I had thought that I would find myself hungry often throughout the week, but this was not the case. I also have found the cafeteria at work to not be imitating at all. I have been following along in Dr. A's Habits of Health book and really believe that this has helped me see things in a new and healthy way. 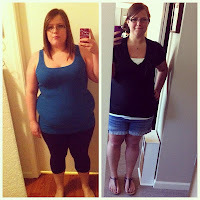 I am very happy with how things are going now and excited about slowly but surely becoming much healthier!" Lesson 4 of the Healthy Habits Series is scheduled for tomorrow evening. We will focus on chapter 9. Follow along online and share your insights! Call to Action: Thank you for your business and for making the decision to help others ... I appreciate all the referrals and interest in coaching - there will soon be plenty of coaches to go around! We need you!!! Besides, your friends know YOU and want YOU to coach them!!! I'm happy to help you get a bit of training so you feel even more confident and can be paid for you efforts to reach out and help everyone to feel as good as you are feeling! We're building a national network of coaches and love our growing team. Some of the coaches from the Portland area were featured in this short YouTube, Discover TSFL. Dr A is suggesting "Meatless Mondays" ... we are so fortunate to have so many options! Greg has some more recipes to post this week so keep an eye on our web site/blog ... boy oh boy, do we eat well! Please share your favorite lean and green ideas with us so we can post them!! Finally, a Lean and Green BBQ has been planned for Monday, May 28th ... if you are in the Portland area and would like more details, give me a call! Have a great week and keep up the strong work! Polly.